The El Correo Español Newspaper has offices in Bolueta, Bilbao. We produced a entrance layout area, installing several original-design panels. The image shows a tilted panel, divided into squares and made of tinted cherry wood. We created a wall with the gradient described in the project and covered with varnished boarding. The project management was the responsibility of the company Atempo. Several areas involved lacquered panelling to create a curved pattern, with relief and shadows thanks to the lighting. The enclosed ceiling involved a window frame that used beading to fit translucent white perspex sheeting, with florescence at the top. The result was a pleasant ambient light. 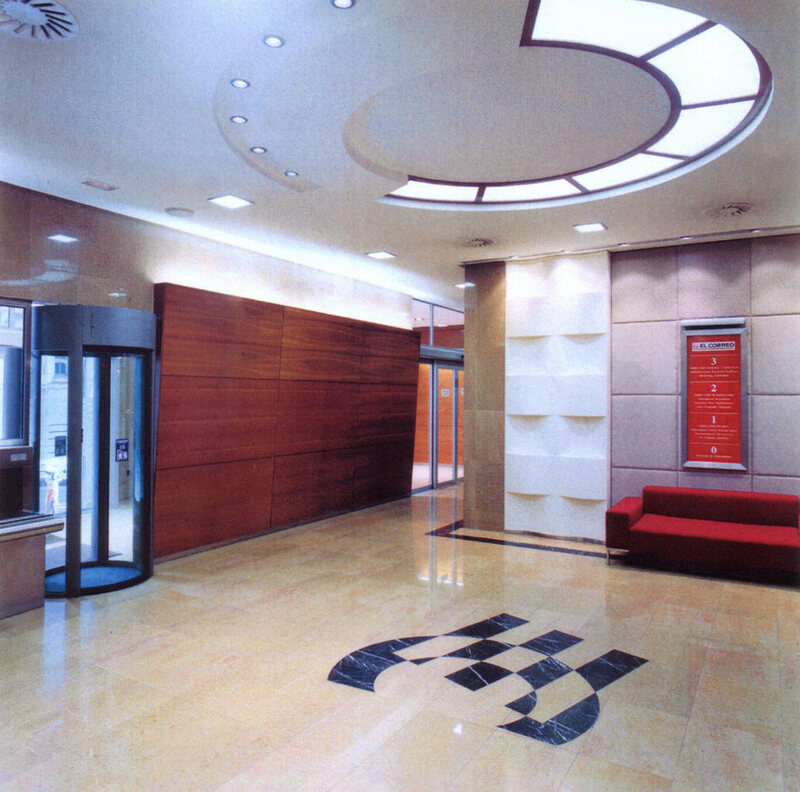 The reception desk was designed and produced in line with its use: customer service.